Olafur eliasson presents the unspeakable openness of things as part of his first solo exhibition in beijing. the extensive exhibit comprises an array of large-scale immersive installations, sculptures and works on paper by eliasson with each space conjuring a discrete environment dedicated to a specific natural phenomenon, such as light, fog, shadow, water, geometry, and movement. as the visitor moves through the galleries, they pass through a series of immersive environments beginning with the intense light of the unspeakable openness of things (2018), which was created by eliasson especially for the site. the large scale work comprises a giant ring of light which casts an warmly saturated orange light upon the space. it comes after a report earlier this year revealed that china has issued an ‘orange alert’ for beijing and other cities, which is the second highest warning in its four-tier air quality monitoring system. eliasson is known for his large-scale works that adopt elemental materials such as light, water, and air temperature to engage with the viewer’s perception of space. he often plays with natural phenomena, drawing attention to social issues, including alternative energy and climate change. 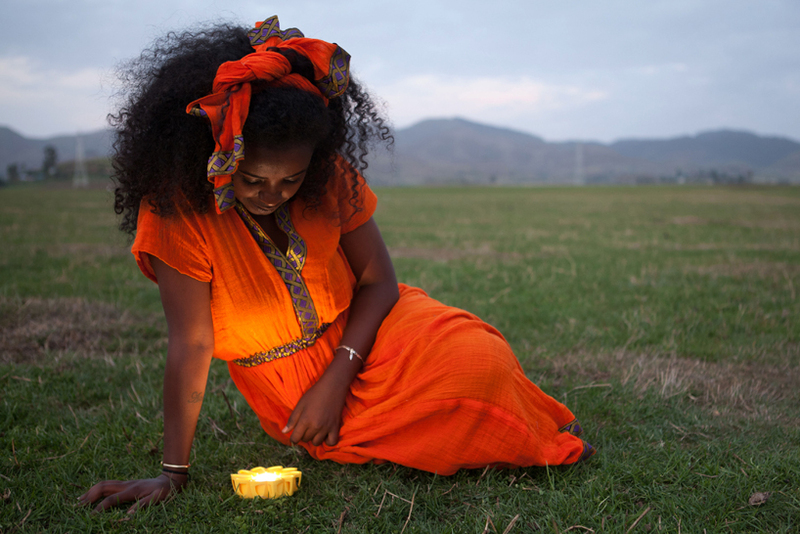 in 2012, he debuted little sun, a small solar-powered lantern aimed at increasing the everyday accessibility of alternative energy. 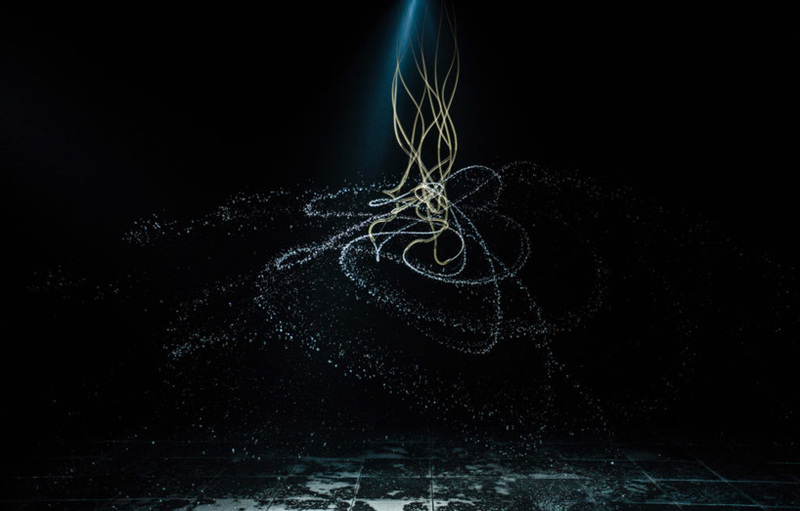 viewers then move on to the lost compass (2013), the erratic rhythm of the water pendulum (2010), the patterned shadows of map for unthought thoughts (2014). finally, rainbow assembly (2016), in which light is refracted through a circular curtain of mist to reveal the visible spectrum. elsewhere, more intimate spaces allow the viewer to focus on a selection of watercolors made with glacial ice, (glacial landscapes (1-12), 2018), glass spheres that shift in colour as one moves around them (chronobiological sphere (green, blue, purple, red, orange, yellow), 2018), rings of glass that paint with light (tomorrow resonator and yesterday resonator, both 2018), as well as red mirrors that produce openings into an illusory space. 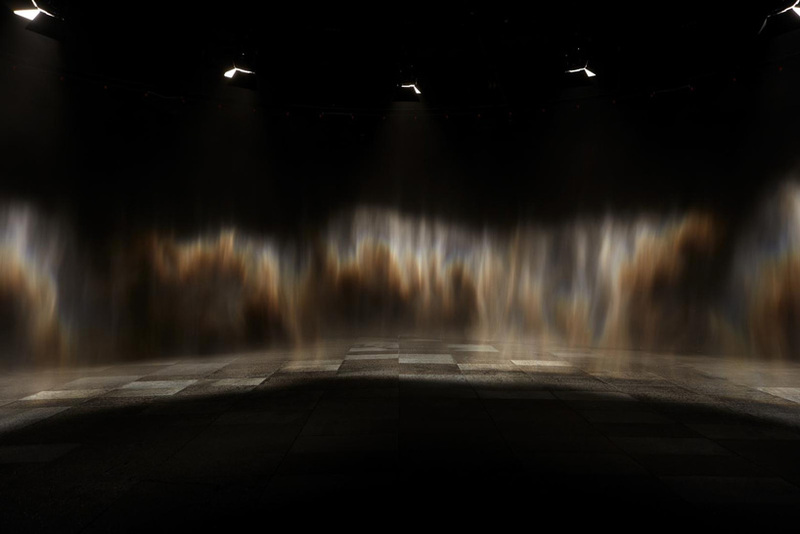 olafur eliasson: the unspeakable openness of things is on show at beijing’s red brick art museum until august 12.